Do You Have a Sativa Craving? You’re a discerning individual, you like the finer things in life, you want nothing more than the very finest Sativa the world has to offer…well who is the Gorilla to stand in your way… Sativa cannabis seeds are naturally higher in THC, produce a lower yet more potent yield & are generally taller & thinner than theirIndica counterparts - plus, they're euphoric as f*****! Choose Your Sativa Seeds Now! Straight from Malawi to You! African Buzz is a rare pure Sativa derived from landrace strains sourced from the dark continent. Pure, heady & energizing, this is exotic herb at its best! A wild, landrace strain from the farthest reaches of the dark continent, South African Kwazulu is a Shaka Zulu favourite. With a single taste, the power of South African Kwazulu puts you in touch with your inner warrior. What Makes Gorilla Choose a Certain Sativa Seed? It’s all well and good saying that the Gorilla has chosen the best sativa seeds for you, but how do you actually know they are the best ones for you unless you know the criteria they had to pass to be selected. So you see, these rules plus a few decades of knowledge mean that your sativa seeds are going to surpass your every expectation. Even in the remote circumstance that you are not 100% happy with your cannabis seeds, Gorilla will replace them immediately and without questions. Just return the untampered, unopened package. You’ve got nothing to lose! 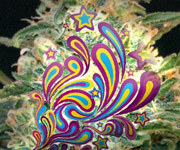 Get your Sensational Sativa Seeds Now!